Now available at DTRPG and RPGNow! If you're looking for a Halloween science fiction adventure to run this weekend, you can't go wrong with Hell's Paradise. 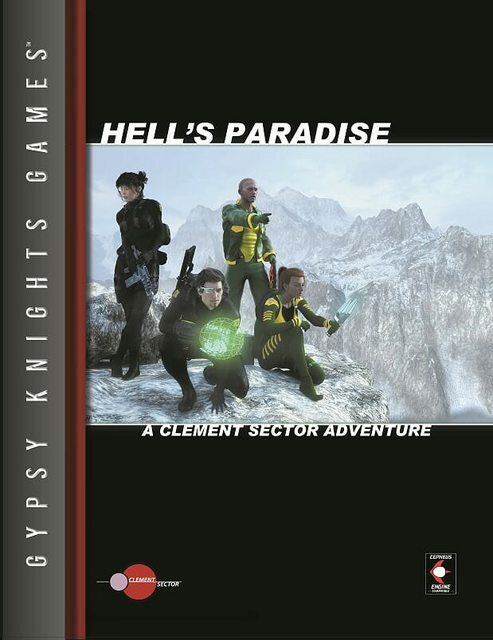 This is an adventure written by George Ebersole for our MgT 1e version of Clement Sector and it was a big hit at many conventions since then. We've since revamped it, made it compatible with Cepheus Engine/Clement Sector: The Rules, and it's available once again. Just wanted to drop in a quick note to let everyone know that Hell's Paradise is now available in print as a softcover.